Goodnesst helps working moms successfully combine their busy lives with a healthy family, and boost their energy along the way. 'Healthy School Lunchboxes in 5 Simple Steps'. HOW CAN I HELP YOU BUILD YOUR HEALTHY NEST? I know many parents feel totally uninspired when it comes to getting dinner on the table. I share healthy, easy, quick recipes for daily inspiration. I believe true change can only happen when you understand the HOW and WHY. I teach nutrition essentials to help you take control over your family's health. The best project you'll ever work on is yourself and your family. Let me help you bring your health to the next level and gain back your vitality. Here’s a recipe which has it all. It’s healthy, fancy, delicious, and ready in a flash! Especially if you follow my golden tip to make a big batch of this simple healthy peanut butter sauce, and freeze it in several portions. Just pop it out of the freezer to turn a simple chicken dish into a real feast. This simple snack has become a staple in our house, and can often be found in my kids’ school bags. Unless you’ve been living in a cave, you’ve certainly noticed kale has gotten lots of attention from foodies in recent years. But how on earth can you get this superfood into your kids' system? As a nutrition coach I help women and men adopt healthier habits in order to gain energy, boost their immunity, and stabilize their weight and moods. Feel free to book a free 20-minutes introductory call to learn more about working with me. 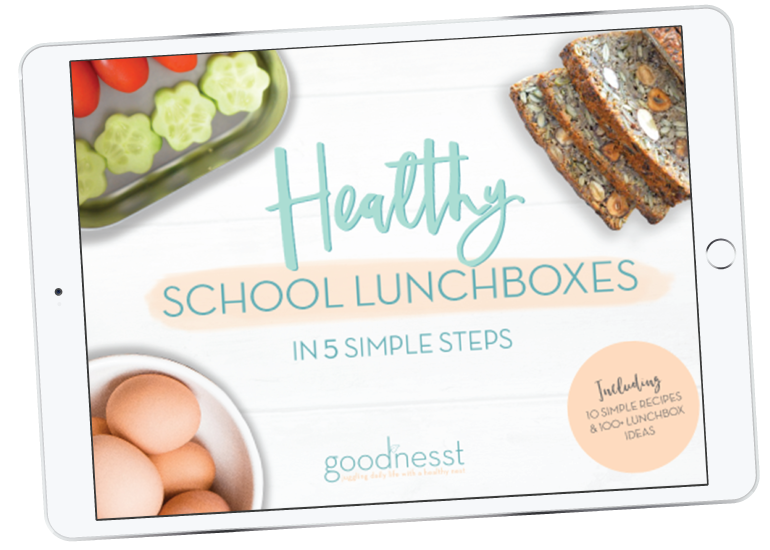 Get your free copy of my e-book 'Healthy School Lunchboxes in 5 Simple Steps'. Hi! I’m Amélie, certified Nutrition Consultant and mother of 3 young children. Most of all, I'm the living proof that a busy life can go hand in hand with a healthy one. As a nutrition coach I help health-minded working moms (and dads!) create a healthier life for themselves and their family through personalized coaching, inspiration, and teaching. One bite at a time.